Tony Abbott is a religious man, educated at Catholic schools, he has studied at seminary college to be a priest, written for The Catholic Weekly as a journalist, and during his political career has always worn his religion on his sleeve. A quick look at his astrology chart reveals several reasons for his fundamentalist religious views, which have earned him the nick name The Mad Monk. The Ascendant (AC) represents the physical expression of the soul. The strength of Tony Abbott’s soul comes from the fixed star Vindemiatrix conjunct the AC. This star, on a par with Algol for its evil influence, has earned the common name The Widow Maker. It causes disgrace, falsity, sarcasm, skepticism, polemics, depression and nervous irritability, but good concentration and a powerful mind. It has the Arabic name Al Muredin, meaning The One Sent Forth in the Faith. So this missionary star, is in part, responsible for Abbott’s strong religious calling. This nature also comes from his Sun and North Node on the fixed star Acrux giving a deeply religious nature with theosophical interests. The Midveaven (MC) represent the career or calling. MC conjunct the fixed star Sirius gives high office under government. The Moon at the focal point of a Yod aspect pattern means that Tony is a spiritual warrior with a specific karmic mission to complete. To aid him in this religious task, the Moon conjunct the fixed star Deneb Kaitos makes him reckless and headstrong with a violent temper. Source for the time of birth in the Tony Abbott horoscope comes via Sydney astrologer Ed Tamplin: “Tony Abbott was born at 4 am in London, on November 4 1957”. World Predictions 2013. Ed Tamplin has explained to me that the time was found by a member of the AANSW, and confirmed to Ed by a student of his who had talked to an immediate family member of Tony Abbott. Thanks for this quick astrology run down. Sam, I found all you said to be so true, but your date of the 21 August 2013 is actually the Full Moon before election. This error is so interesting as the Full Moon looks to be very challenging. More specifically for Tony Abbott as he is having a nodal return on the day. He was born close to a Lunar Eclipse so this time could be very dramatic for him. The Lunar returns are significant karmic point in one’s life. They can affect health or underlying health problems come to the fore. Kevin Rudd went through his nodal return earlier this month, and he survived it okay. Plus this Full Moon will be hitting off hypothetical Uranian planet and asteroids in his chart causing a grand square. One called Toro which has a highly macho meaning, very much in line with his personality and how he operates in life. His natal Mars factors in to the full Moon degree, as does ex PM Julia Gillard’s, hers more closely in fact. Kevin Rudd’s Sun-Mars cazimi is in the same degree in Virgo. so he is factored in too. Another astrologer mentioned a greek tragedy unfolding. This popped up “it means when a protagonist’s flaw causes his own downfall”. We know that PM Kevin Rudd started ailing badly when Tony Abbott took over as Opposition Leader back in 2010. Then he got caught up in being a protagonist of new PM Julia Gillard. Admittedly there were times when I thought Abbott’s continual attack at Gillard was too painful to watch. I agree with you nothing fits. Everyone seems deluded. 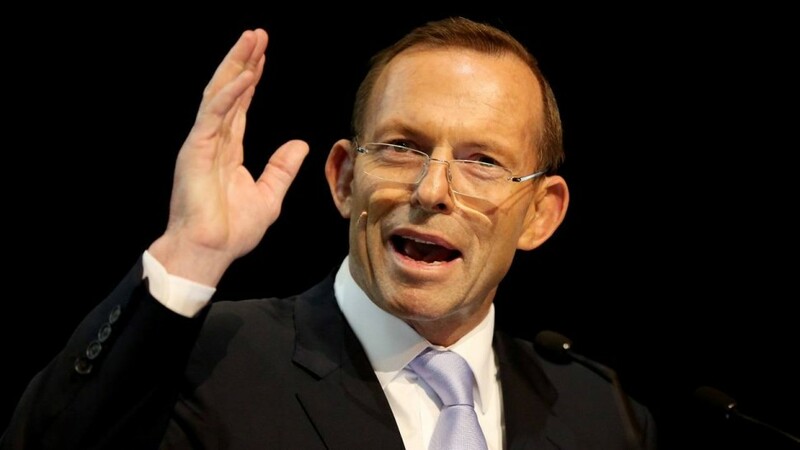 Bob Carr reckons Abbott is using hypnotism to win people over. So much good has been done by our govt, but nobody is getting it. I have kept quite vocal about this for ages . Today I felt that Australia was suiciding, or allowing this weird takeover to happen. That something could easily break on this Full Moon. That the New Moon in Virgo could snap people back to reality, in to the mindset of leaving things the way they are. To keep safe, keep cautious, if it’s not broken, why fix it, time to clean up after the messy Leo party of Abbott’s. I can see in Abbott’s chart that his strategy or focus is to wreck things in an attempt to reform them his way. Kind of a vampirism of sorts. The question is “is he the protagonist with the flaw which causes his own downfall”. He certainly has had a fair run of causing everyone elses downfall. He seems be grabbing the leadership as the strong man before he has actually got there. In this he could be called the protagonist. We went through John Howard dragging us all down with him, when Saturn transiting through the 1st quadrant of his chart. With Abbott, Saturn is already well in to his 1st quadrant. Both of them had Sun in the 2nd house, so their greed for power could be their problem. Kevin Rudd has transiting Saturn in a far better position still in his 10th house, to keep on leading for the next 3 years. For Julia transiting Saturn was in her 12th house when she was voted out. Simply put people tend rise to power when Saturn climbs in to the top part of their chart, and got on sabbatical when it heads down in to the 1st quandrant. The big question is does Abbott have some karma due to him, that he deserves the big prize, even though he has created such havoc in the process. He certainly thinks so. On election day the polls open at 8am and for Sydney, Venus sits very close to the ascendant in to the 12th house. In Canberra Venus is still conjunct but into the 1st house. Venus is rising behind the sun so it is in evening star mode where the emotions and feelings are more controlled and introverted. There is a novile aspect between the Sun & Venus at 30′ succeding. Will the women get up and vote against Abbott? Is this the big mystery we are feeling. By being past the aspect it kind of shows that the spirit of the feminine may already have decided. Sorry this has been a bit long…should have posted if to my blog and referred you to it, I guess. I just so liked your comment.